A NEW post has been created locally to support the isles’ aquaculture industry when it comes to receiving training in areas like health and safety. Project officer Anne Stewart has been appointed by quality assurance company SSQC Ltd to work with ten companies as part of a two-year pilot to help them identify any training needs and to highlight best practice. 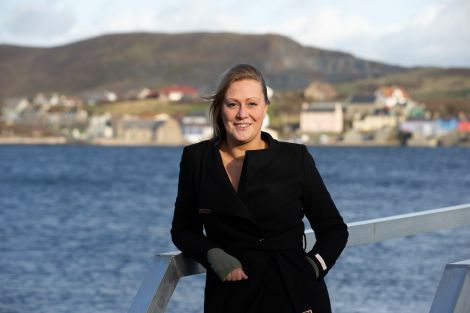 Seafood Shetland chief executive Ruth Henderson said it was an area its members “have sought assistance with for some time”. The post has been funded by Seafood Shetland, Shetland Aquaculture and the European Maritime and Fisheries Fund. “Working in the industry can prove challenging and, sadly, the sector has not been without it share of incidents and tragedies,” Henderson added. “This serves to highlight the paramount importance of health and safety in the sector and, therefore, it is essential that businesses have the right support – be they large or small – to identify and implement not only mandatory requirements but also best practice which will help to mitigate any potential issues. Stewart said she will look to develop a database of training needs in terms of health and safety, professional development and general good practice. “I will be drawing on my experience from developing a similar resource in the oil industry, which involved the creation and development of processes that documented training history and future training needs,” she continued.